Day 70 – Reinstall All The Things! Aaron and I reinstalled Ubuntu on the Intel NUC (It’s always good to have a fresh image) and started installing the webservers and streaming for the S.A.R.T interface according to my instructions here. 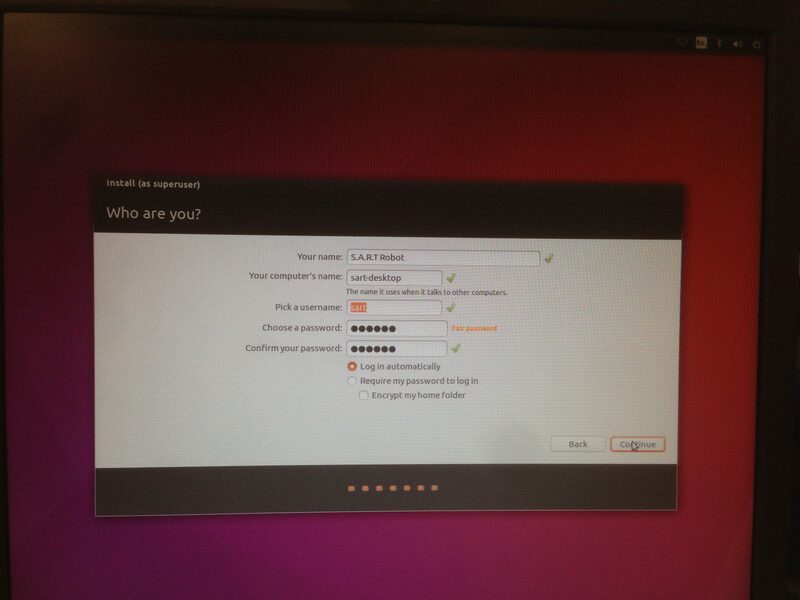 To install the S.A.R.T interface, the first step was to install Apache 2. 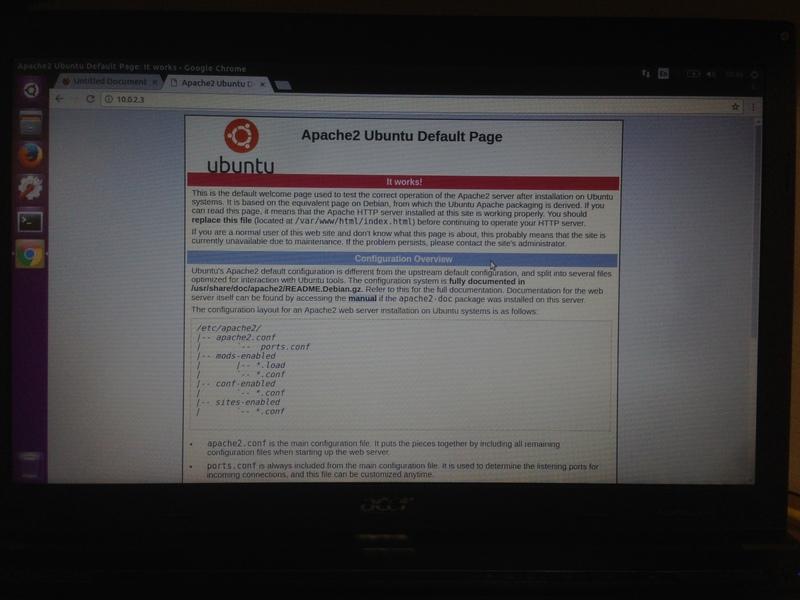 After reconnecting to the S.A.R.T access point and assigning the new installation of Ubuntu a static IP, we visited the Apache test page to confirm the webserver was working. We made a few minor changes to the installation process, such as installing a newer version of PHP (PHP 7) rather than PHP 5. PHP installed without a hitch. At this stage we decided to install Google Chrome so we could just copy and paste the commands from the instructions rather than typing them out. At the same time, I transferred the S.A.R.T interface I’d been working on to the www directory on the NUC. Everything appears to be working, but PHP doesn’t have permission to run scripts yet. To install motion, we had to improvise a bit. The instructions I had written were for a specific Raspberry Pi version of motion called MotionPi, and would not work on Ubuntu. Motion was installed with the command “sudo apt-get install motion”. As usual with a motion install, we created a directory called “.motion” in the home directory and gave permissions to the user. Inside that directory a “motion.conf” file was created with the specifications from the instructions. Streaming worked at localhost:8081, but we had to disable the localhost only options for the stream to work on other devices. We first tested it on the Ubuntu laptop connected to the S.A.R.T Xirrus access point, and then on a laptop connected to the S.A.R.T access point over WiFi. Both were successful and there was practically no delay. A video example of this will come soon.